For its 71st edition, the Venice International Film Festival has invited a trio of new works from veteran Korean filmmakers. IM Kwon-taek will premiere his 102nd film Revivre in an out of competition slot, while HONG Sangsoo will present his 16th work Hill of Freedom in the Orrizonti (Horizon) competition. The films join One on One, the 20th film by KIM Ki-duk, which was previously announced as the opening film of the Venice Days sidebar. Revivre is IM Kwon-taek’s first work since 2011’s Hanji. He reteams with longtime collaborator AHN Sung-ki, who plays a middle-aged man who is torn between his bed-ridden wife, played by KIM Ho-jong, and his much younger mistress, played by KIM Gyu-ri. Following a pair of films last year, Nobody’s Daughter Haewon and Our Sunhi, HONG Sangsoo will present Hill of Freedom, which will feature Japanese star KASE Ryo and frequent collaborator MOON So-ri. 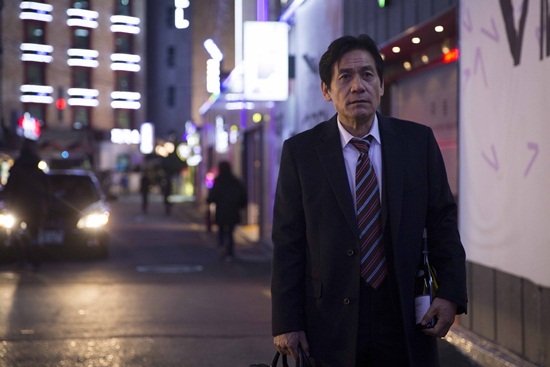 KASE plays a man who returns to Korea to meet an old lover. During his stay at a guesthouse he encounters many people. Meanwhile, KIM Ki-duk’s One on One will have its international premiere, having already screened theatrically in Korea in May. This marks KIM’s third consecutive invitation to Venice, following Pieta (2012) and last year’s Moebius. Korean films have found great success at the Biennale over the years, most notably with KIM Ki-duk’s Golden Lion win with Pieta. Other major awards collected by Korean filmmakers in Italy include a Silver Lion for 3-Iron in 2004, another film by KIM Ki-duk, MOON So-ri’s Marcello Mastroianni Rising Star Award for LEE Changdong’s Oasis (2002) and KANG Soo-yeon’s Best Actress win for IM Kwon-taek’s 1987 work The Surrogate Woman. These three new works from some of the most indelible figures in Korean cinema will grace the Lido when the festival kicks off on August 27th, running until September 6th.